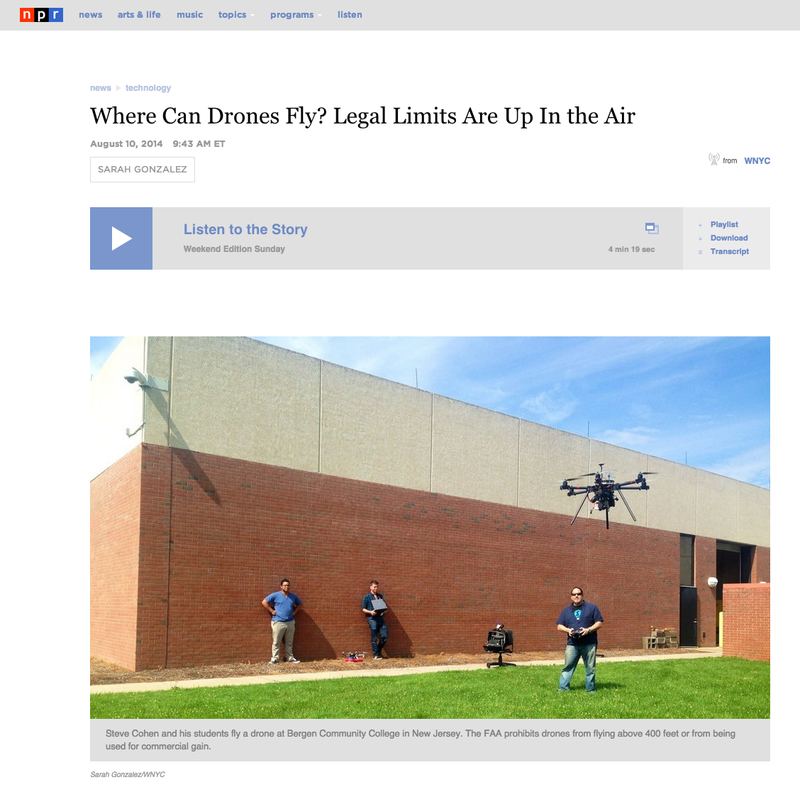 My advocacy for UAS and civil drone use is three-fold: As a commercial photographer and filmmaker, as an educator at Bergen Community College in Paramus, New Jersey, and as the leader of the New York City Drone User Group (NYCDUG), I’m passionate about the potential that this technology holds. I was invited to participate in an sUAS based expeditionary training weekend about 90 minutes north of Tampa, FL. Crystal River is home to large populations of Manatee and other wildlife and is situated inland from the Gulf of Mexico. It’s an ideal site to get baseline data on tidal erosion, sea floor shifts, and topical terrain. The concept was to use land, air and sea based robotics (LASR) to gather data autonomously and to process that data into a 3D relief map incorporating undersea and ground topography. Another criteria was for the parts and equipment to be readily available, and software to be open-source. Led by Dr. Jim Blanchard of Unmanned Autonomous Systems Academy (UASA) and EODrones, the expedition’s mission was to test, prepare, and document the work involved in preparing the vehicles, collecting and disseminating the data, review and process what we had come away with and what could be improved. We had three devices in various stages of testing on hand: A ROV submarine – yellow in fact, and made from furniture grade PVC tubing and bilge pumps. The ROV operates via a tethered computer and joystick, challenging us with issues of buoyancy and waterproofing. The next robot was an aquatic surface vehicle using an open source motion controller to propel the watercraft gently while operating bottom sensing SONAR and a video camera with GPS embedding enabled. Lastly we operated a 650mm hexacopter, with a down-facing camera and gps embedding. The three feeds come together to form structure from motion using algorithms and point cloud matching to drape topographic data over gps and underwater data. 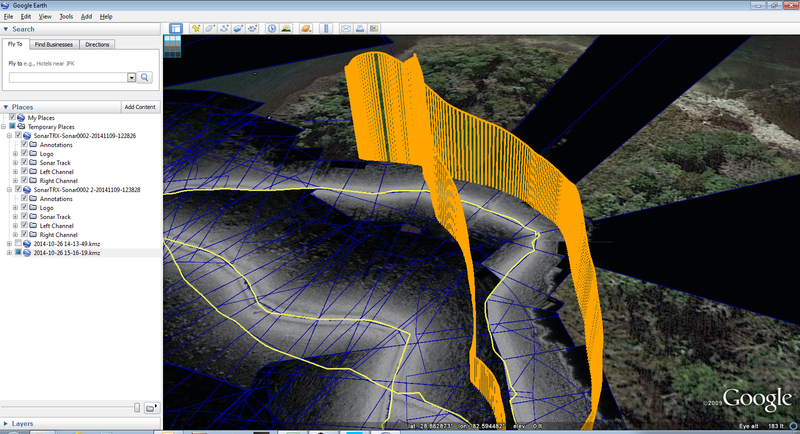 What we’ve effectively done is created a 3D map including seafloor with aerial detail. The map is very detailed and provides quite a lot more information than displayed in this screengrab. Black areas indicate lack of coverage on aerial info that could be draped over the topographic data. 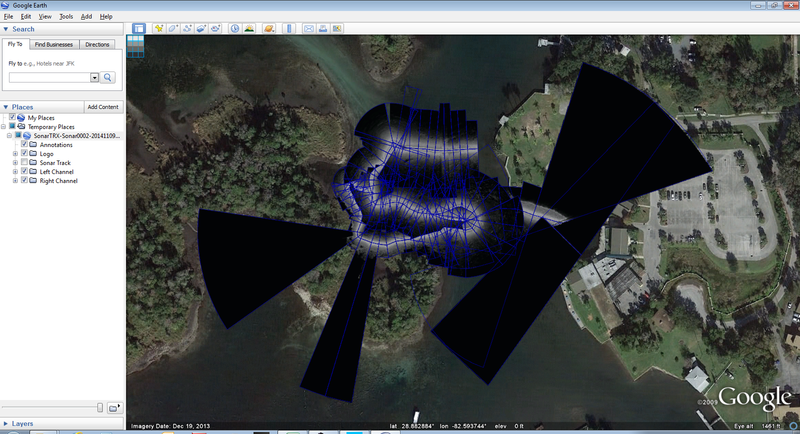 This view shows the flight path of the aerial device is shown here paired with the areas of detail in the waterway. 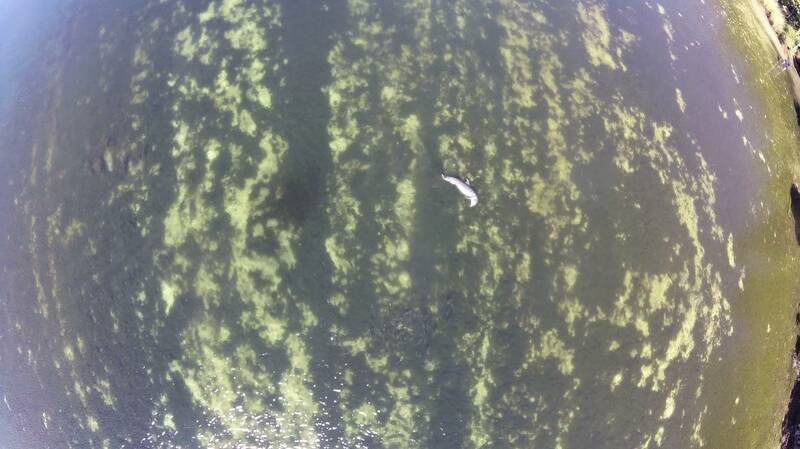 Below is a still frame from the downfacing camera – thats a porpoise having breakfast. My takeaway is that planning is key to these activities. Its a production – kind of like making a film. Lots of small parts coming together to make one whole. In all of the professional environments I’ve worked in and been exposed to, the importance of forethought and anticipation are hugely important, but what can’t be planned for is the unexpected. How a team adapts and communicates is crucial. When the hobby shop isn’t down the street or Amazon won’t be able to deliver something in time, experience based improvisation is paramount to success. It was quite beautiful in Crystal River and very special given the variety and access to preserved wildlife areas. While I didn’t swim with the Manatee, I am proud to have thrown back a shot of Fireball whiskey (now banned in some parts of the world due to claims that it contains glycol) with a nice bunch of locals. Guess I needn’t worry about my pipes freezing this winter!